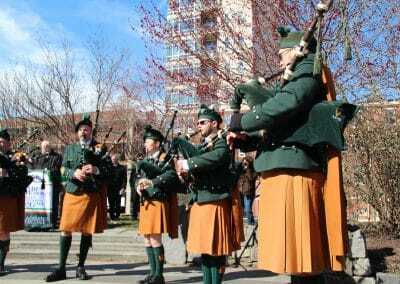 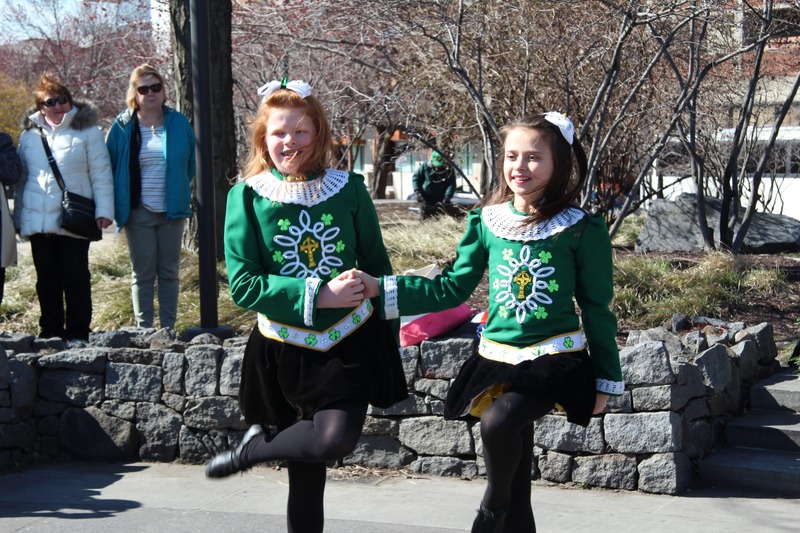 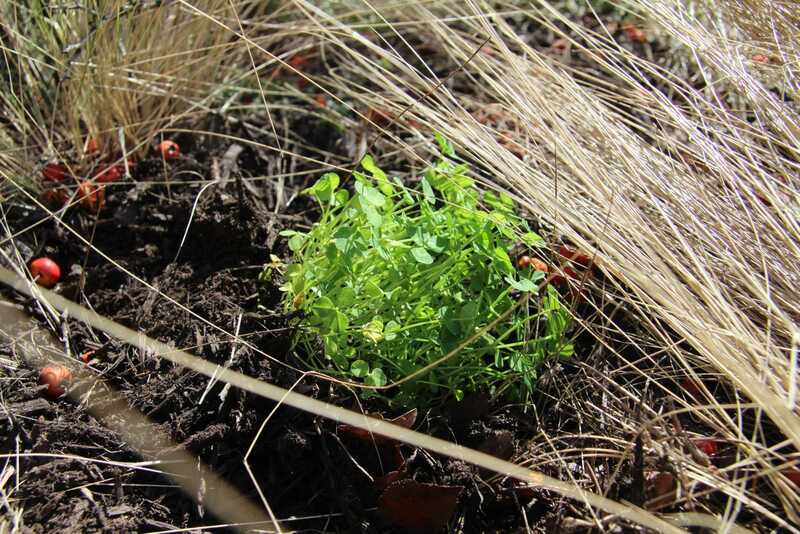 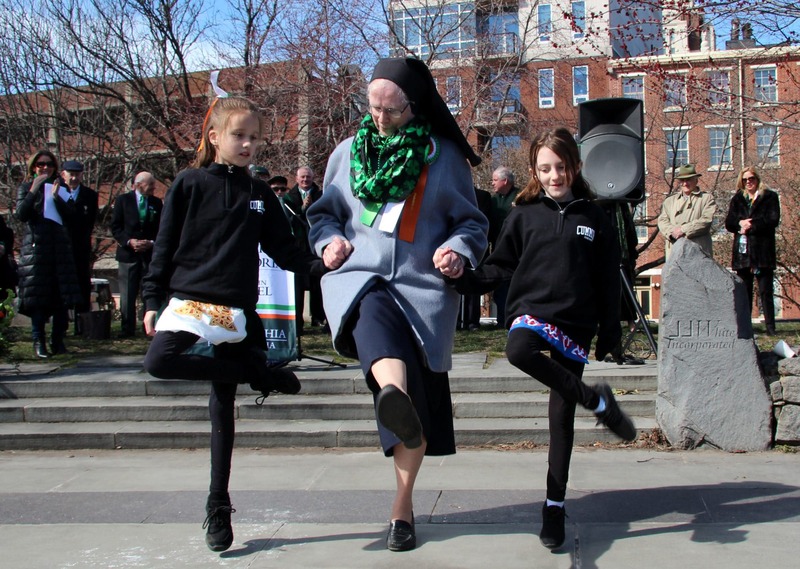 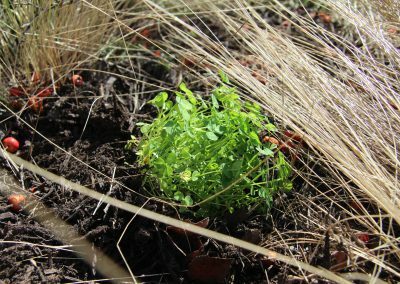 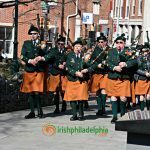 Sona Lá St. Pádraig (Happy St. Patrick’s Day)! 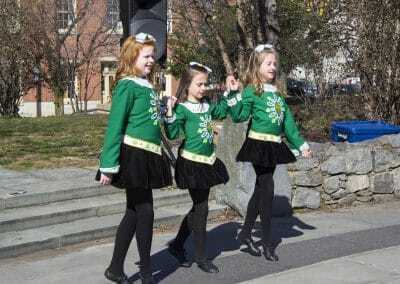 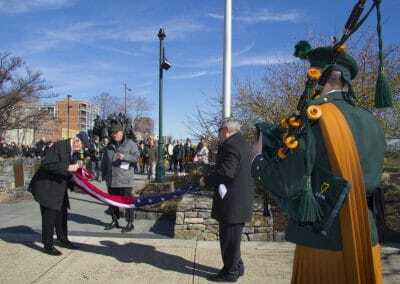 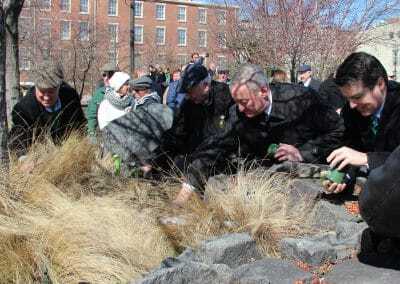 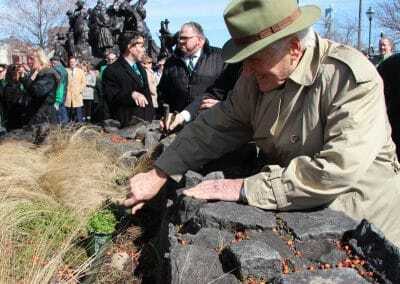 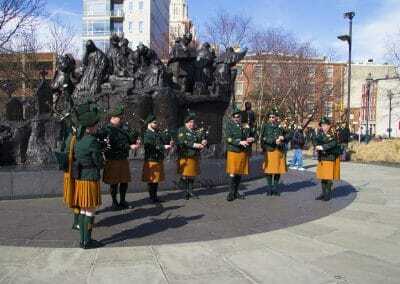 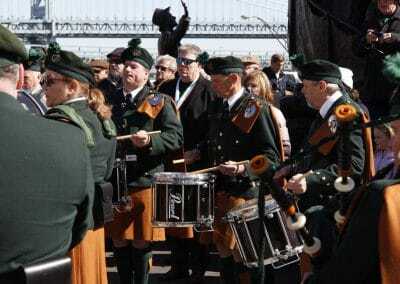 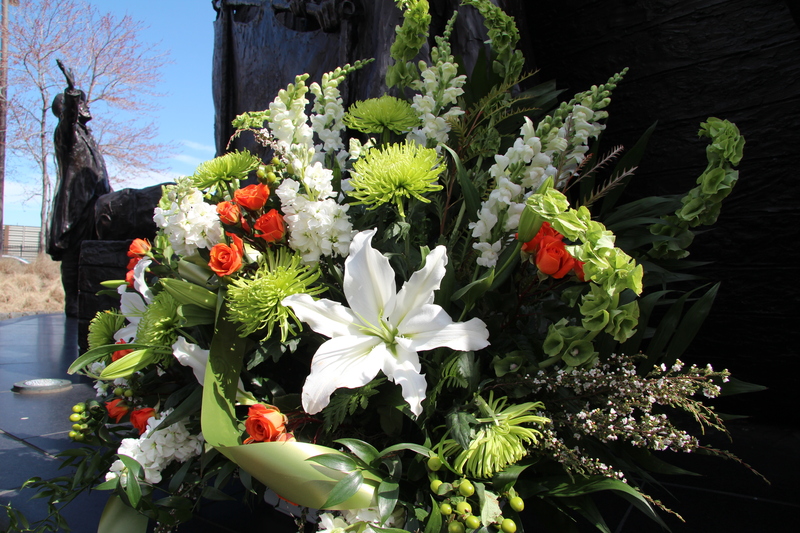 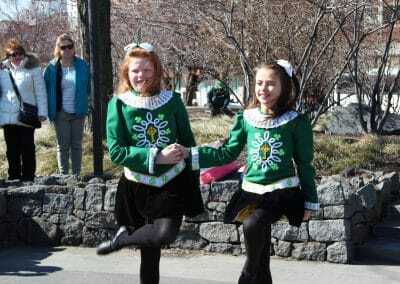 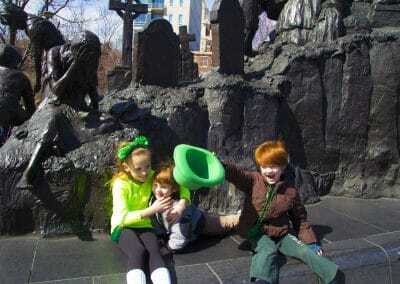 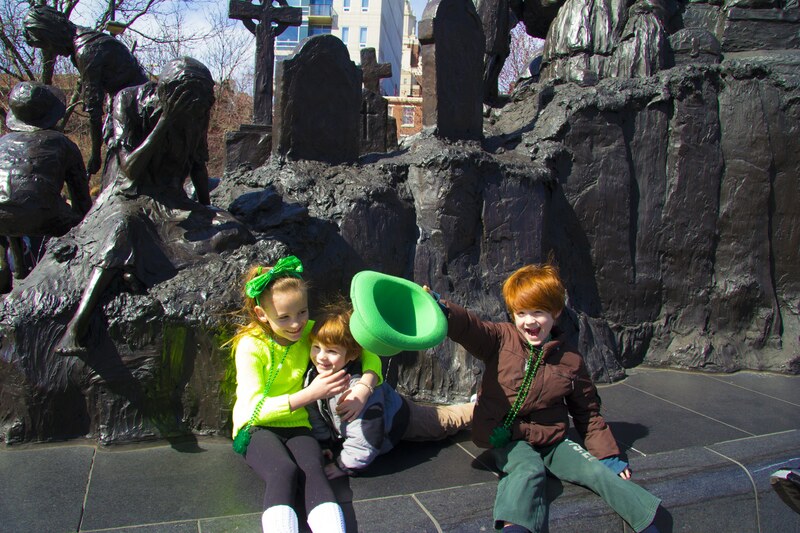 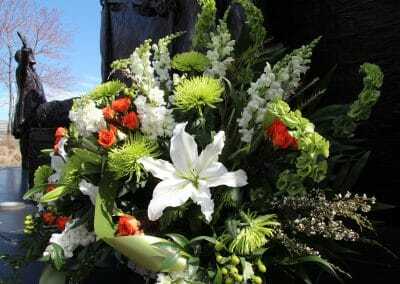 And it was, as we celebrated this special day at The Irish Memorial with a sense of history and tradition. 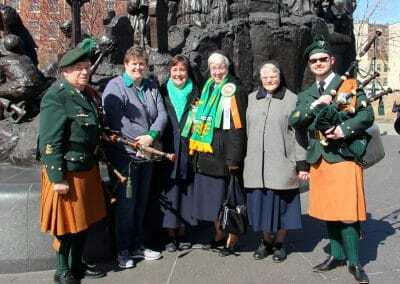 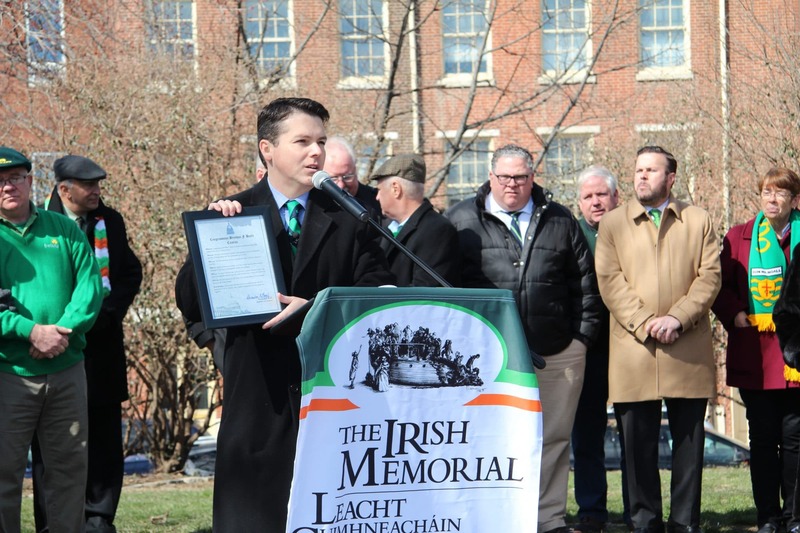 Thanks to everyone who attended the 16th Annual Commemoration of An Gorta Mór. 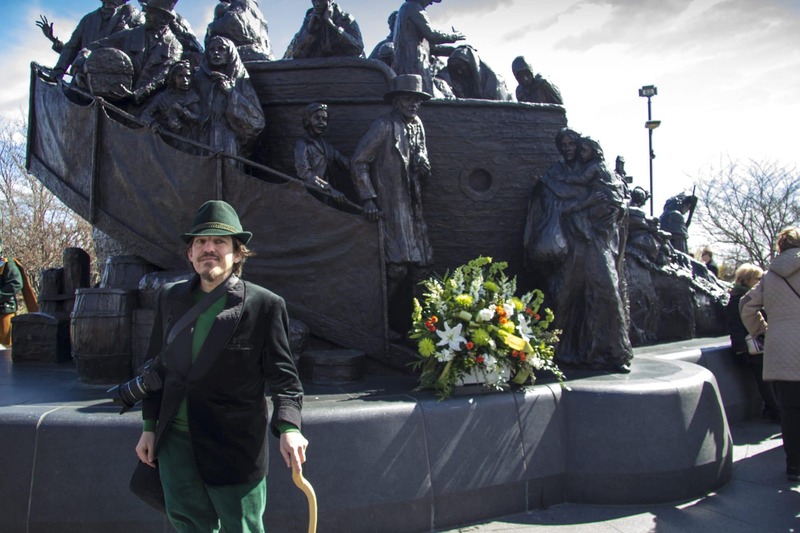 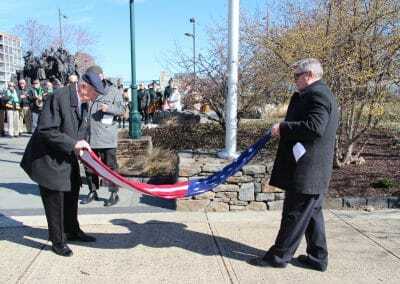 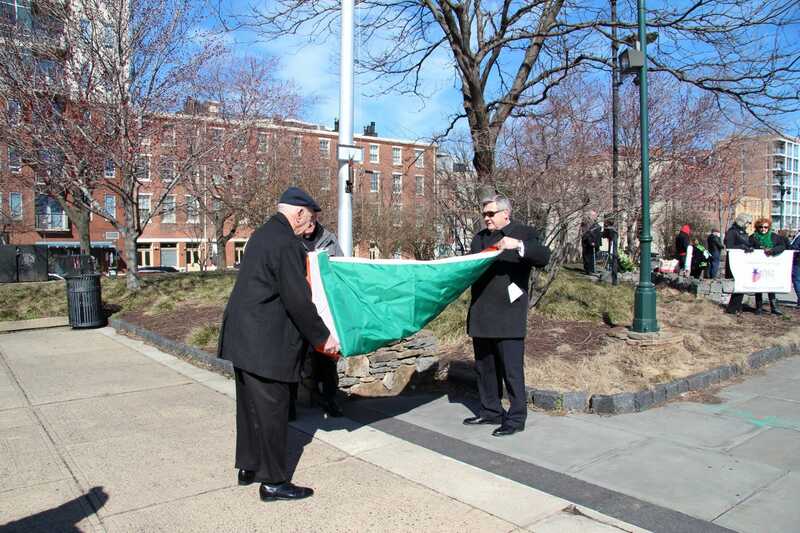 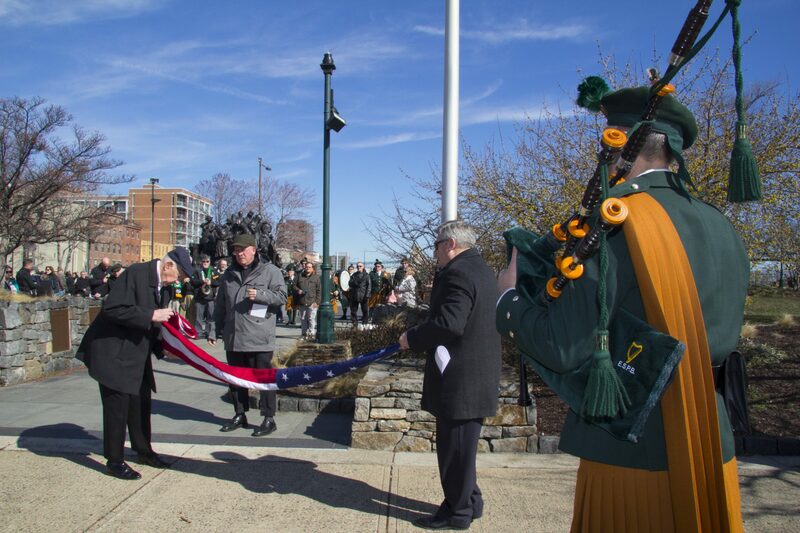 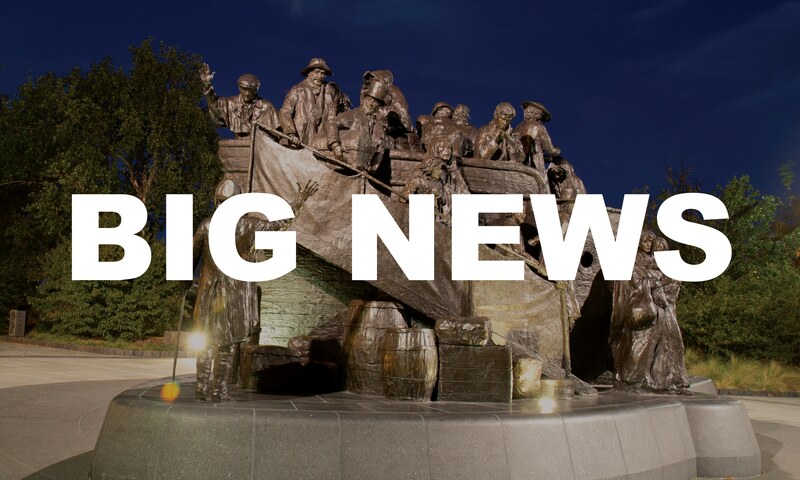 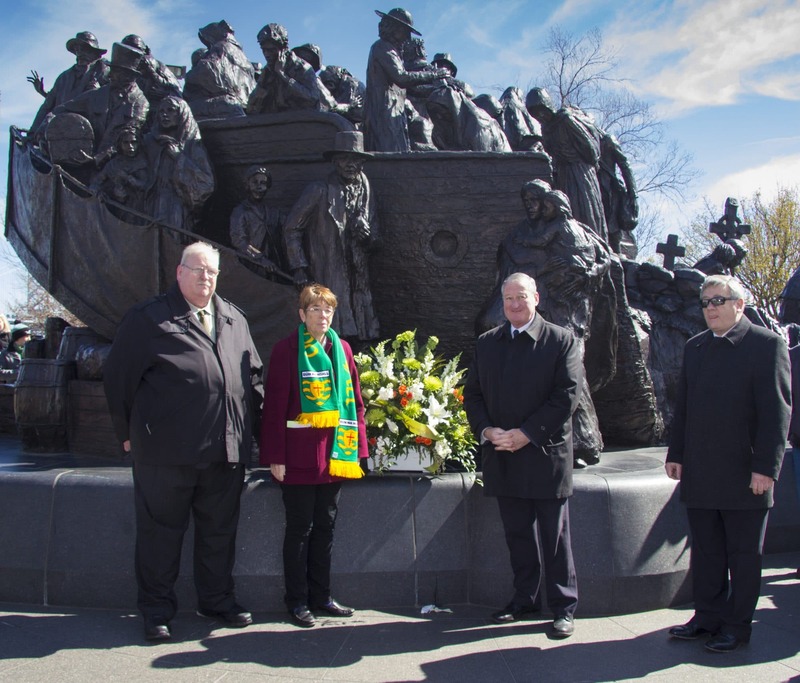 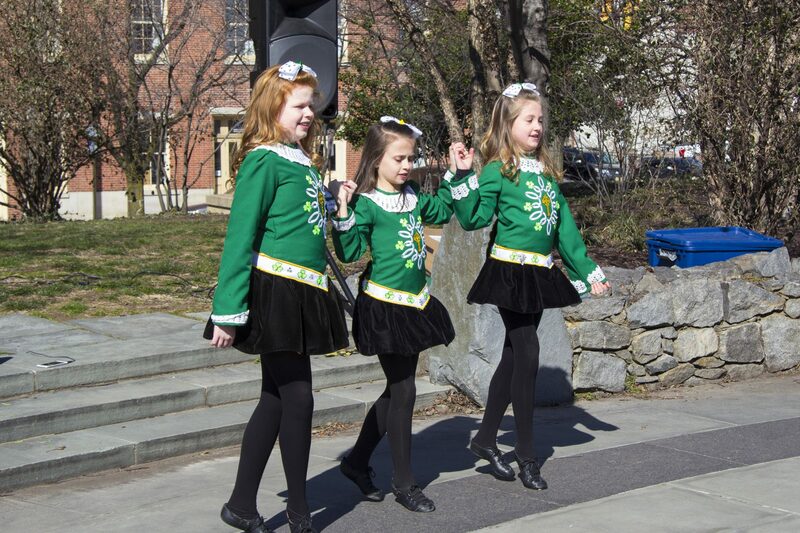 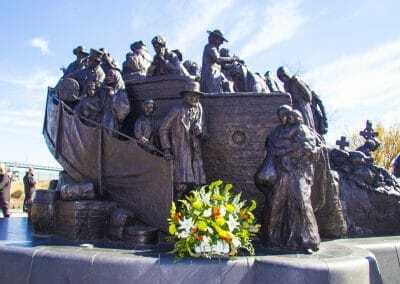 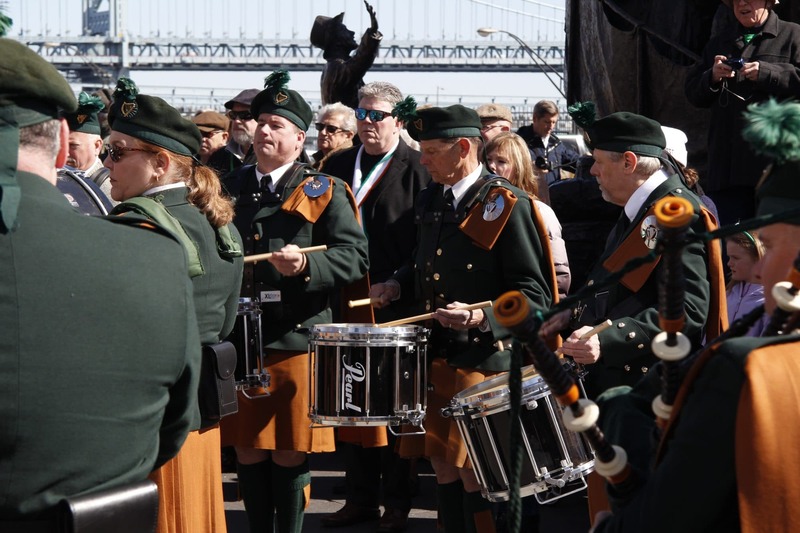 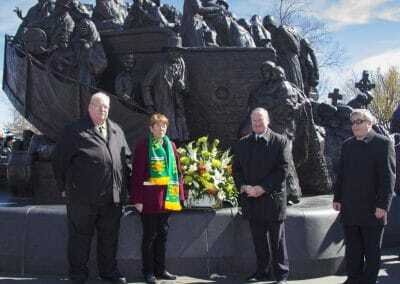 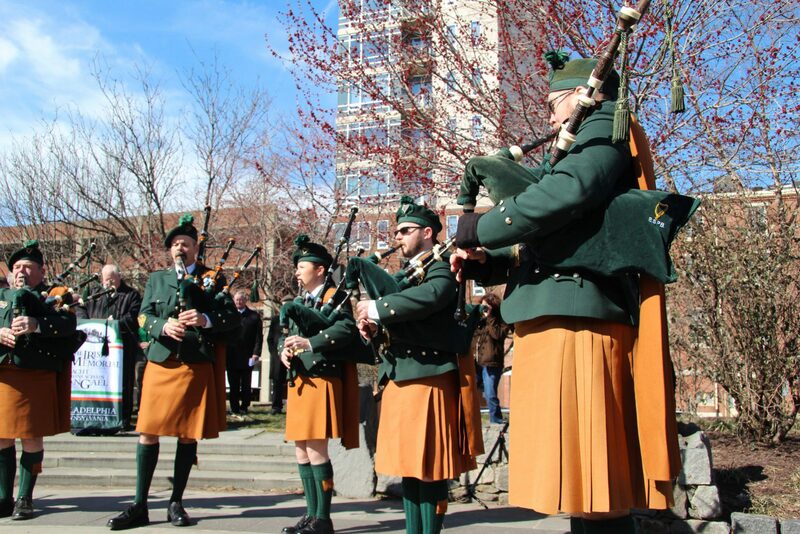 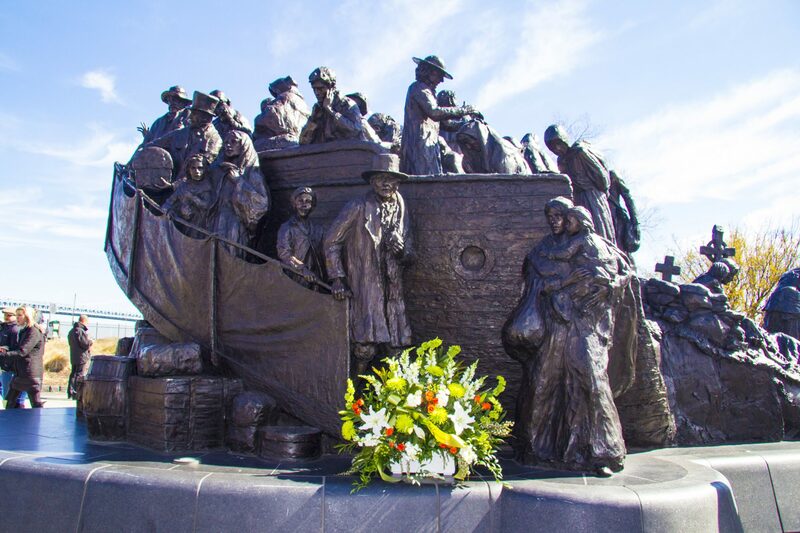 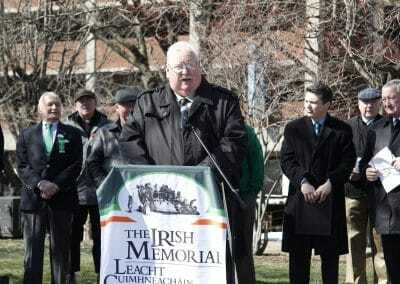 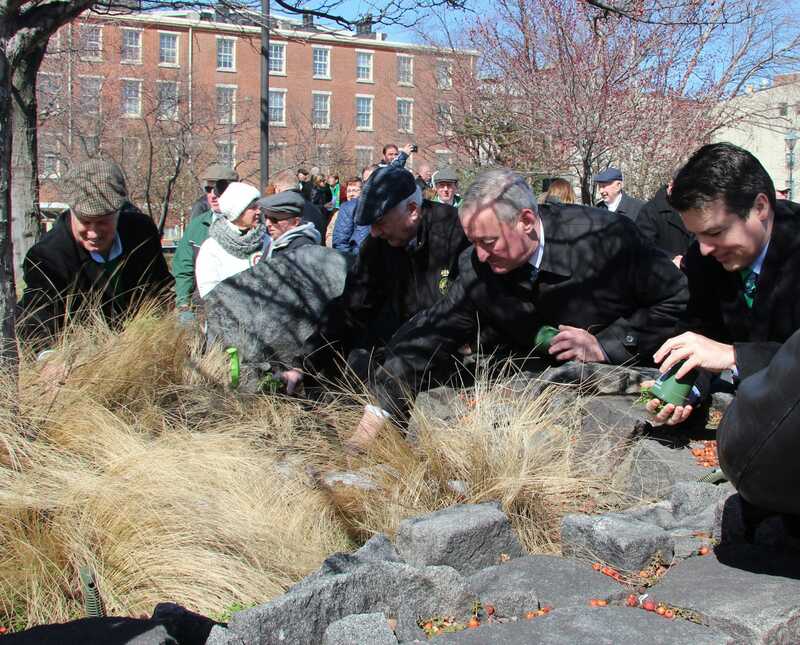 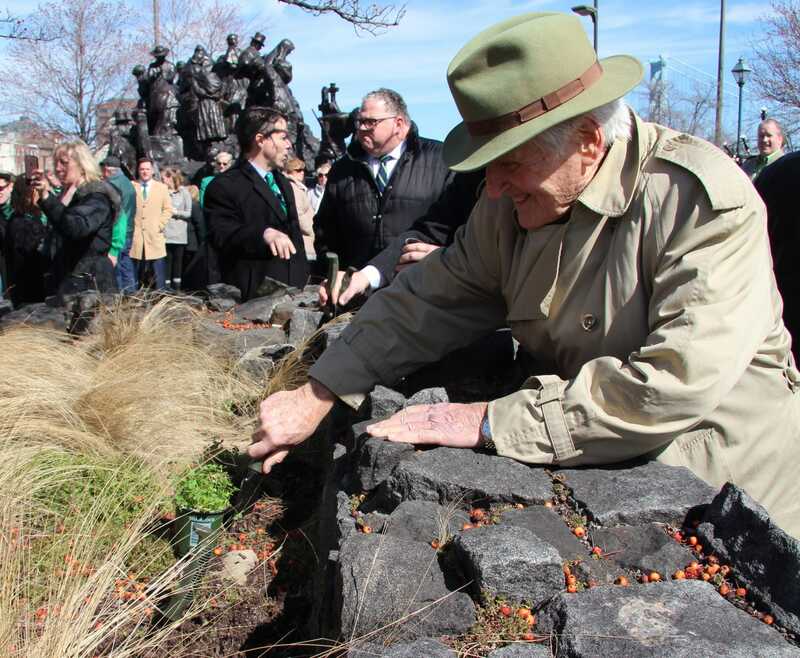 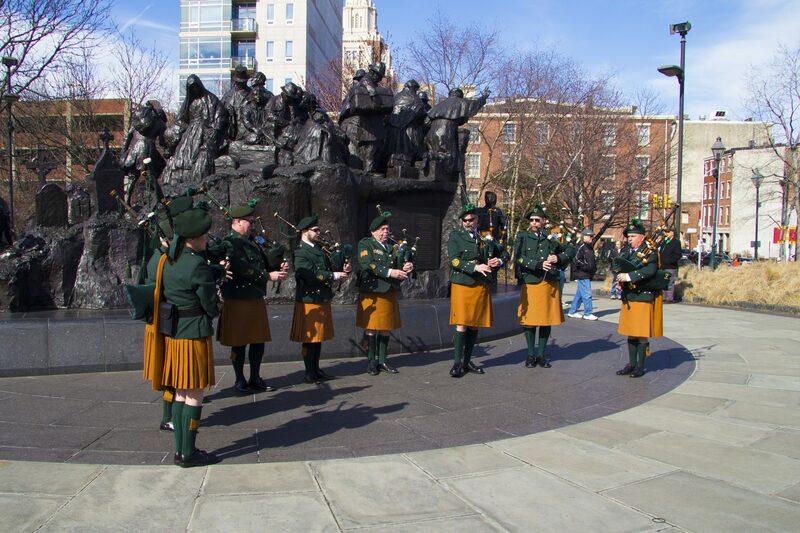 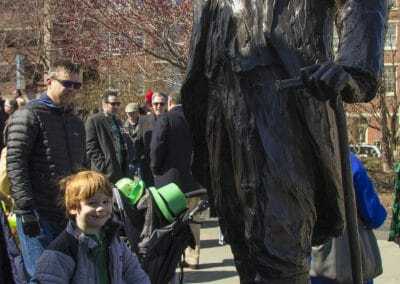 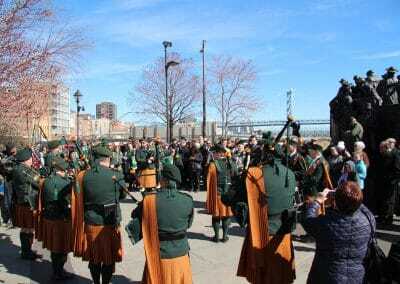 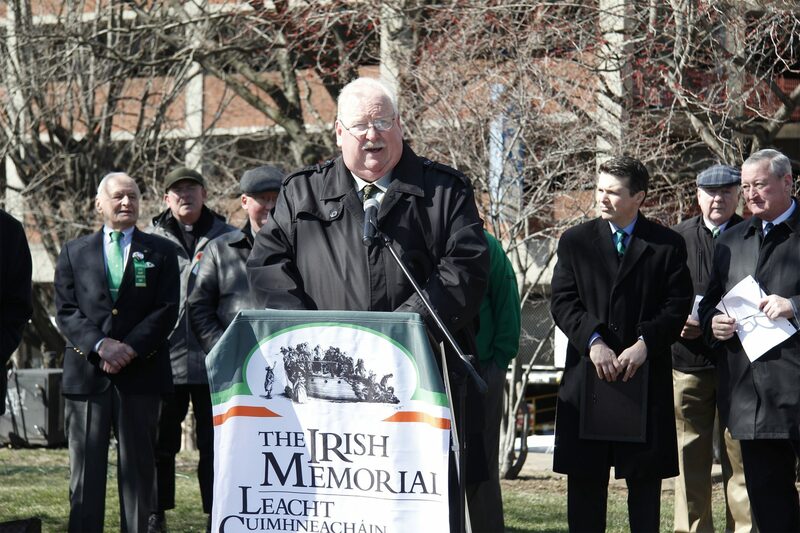 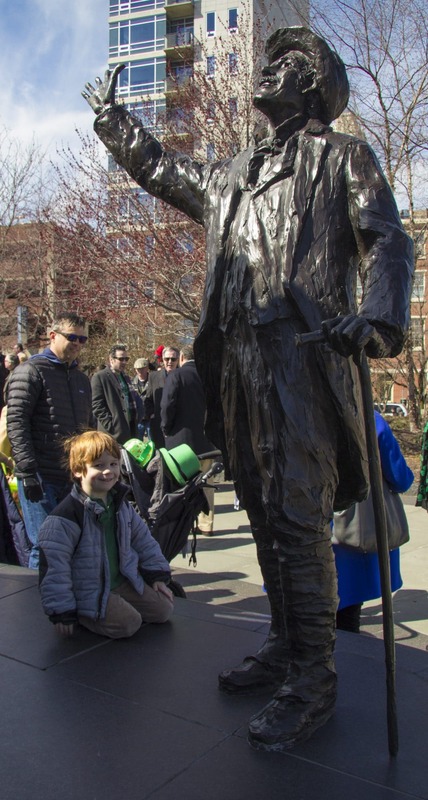 The Irish community gathers at the Irish Memorial each St. Patrick’s Day to celebrate our heritage and commemorate the tragedy known as The Great Hunger, where over one million Irish men, women and children perished and another million were forced to flee Ireland. 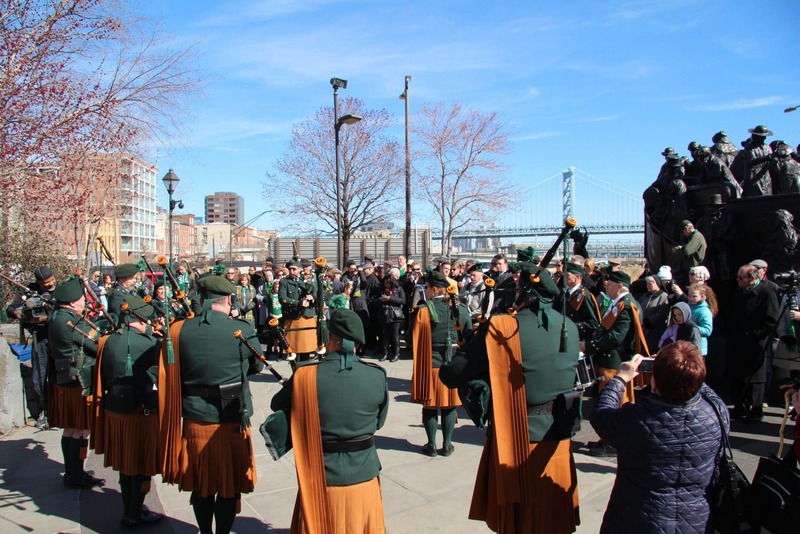 However, we also celebrate triumph over tragedy and recognize the many contributions the Irish people have made to this City, State and Nation. 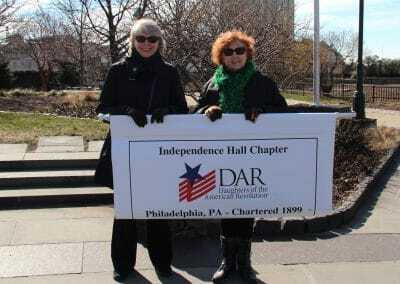 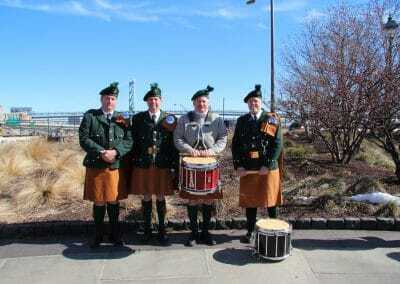 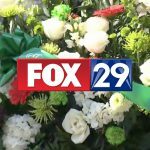 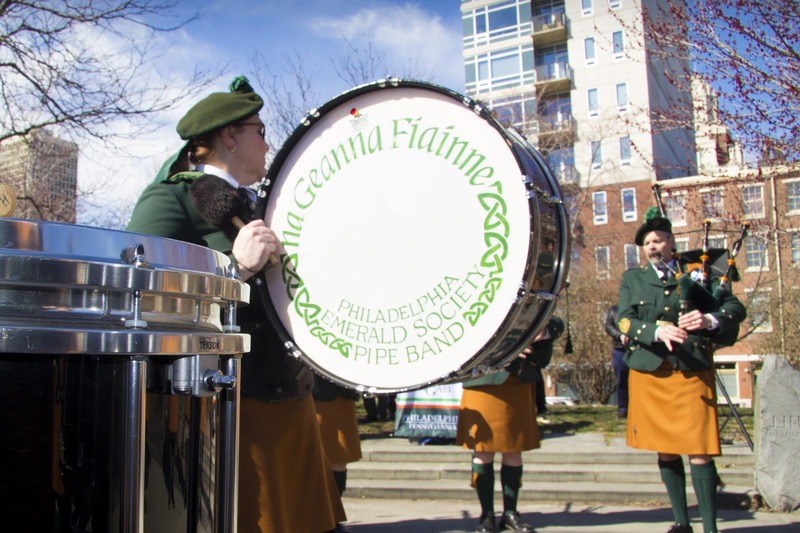 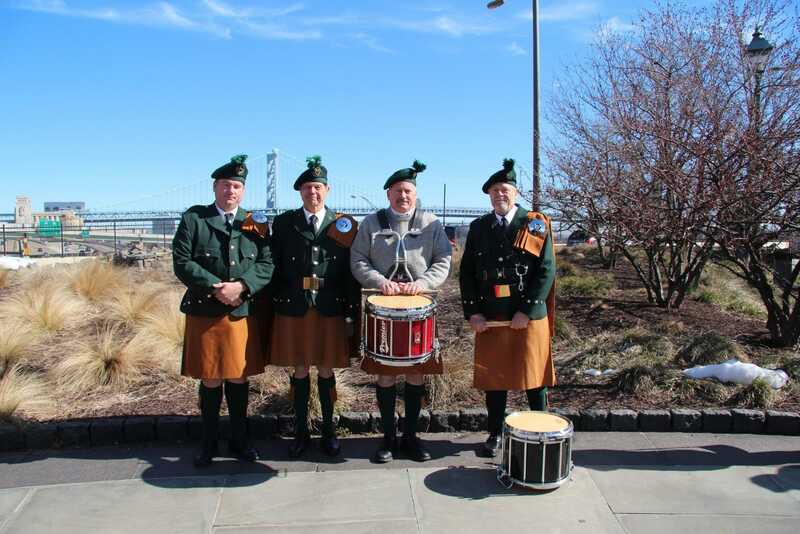 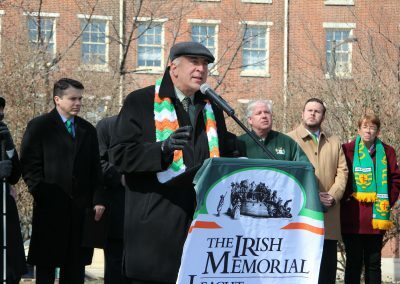 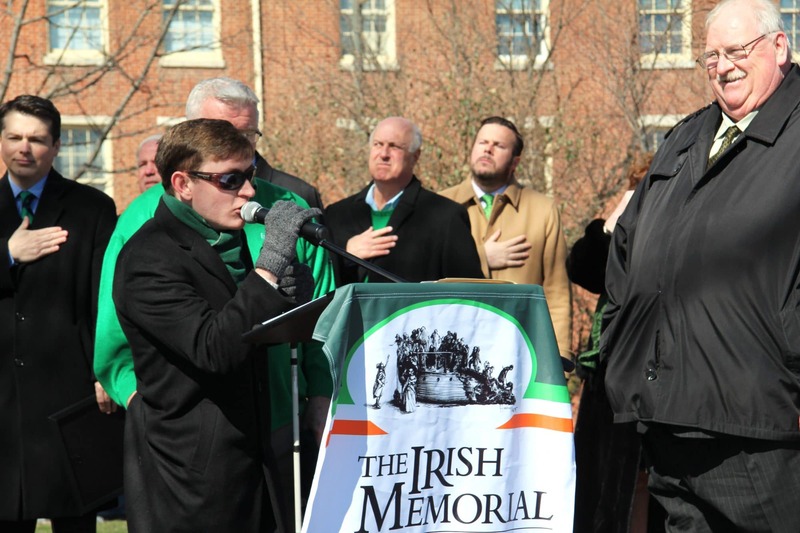 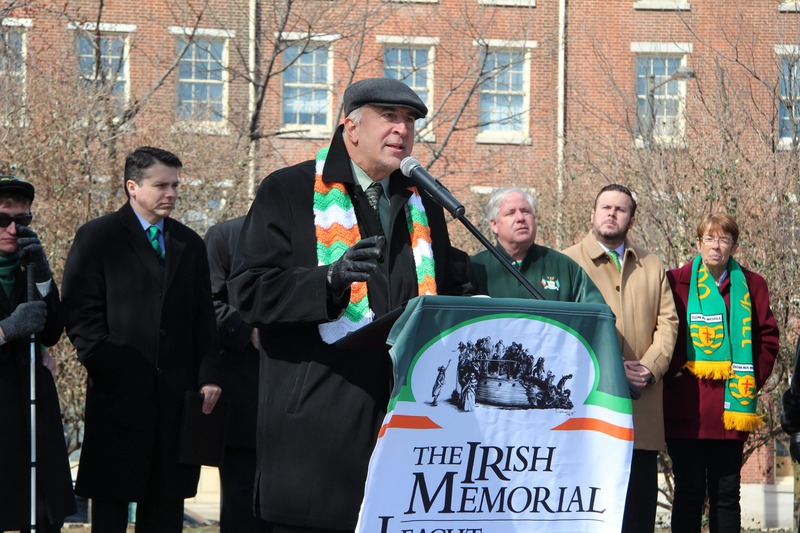 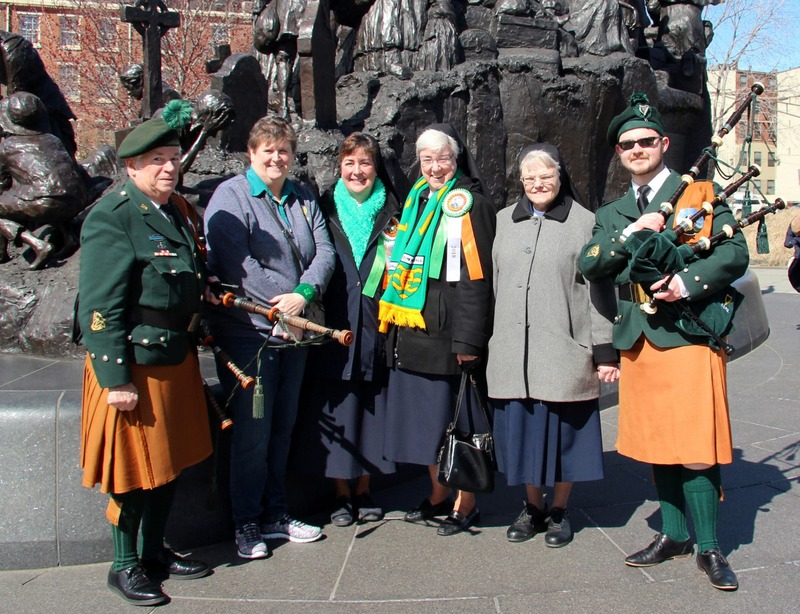 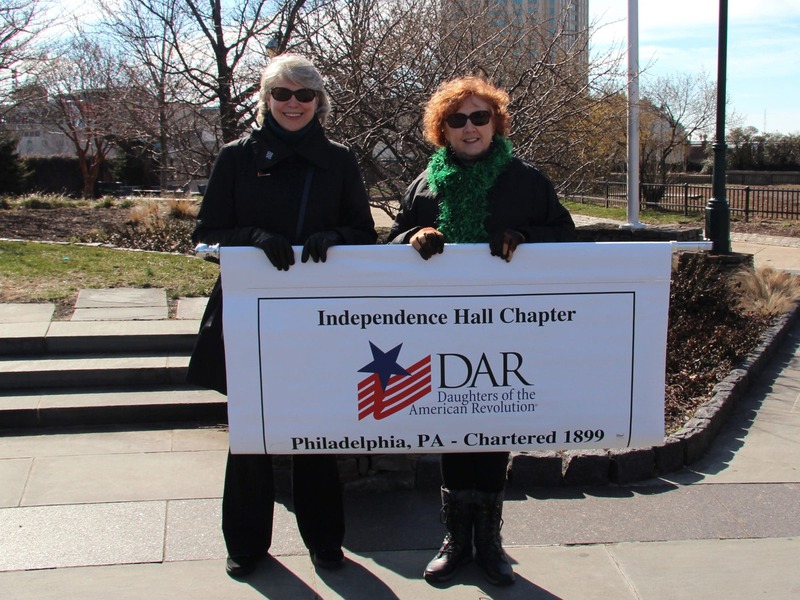 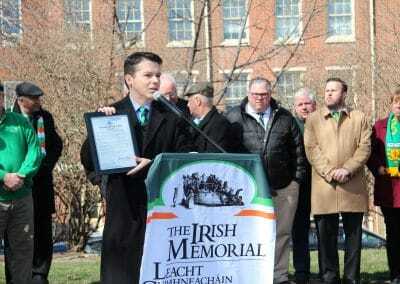 Additionally, thanks to Kathy Orr, our emcee, who has been to nearly every one as well and to our featured speakers, Sister Mary Scullion, RSN, the 2018 Grand Marshal of the Philadelphia St. Patrick’s Day Parade, Mayor James Kenney, Congressman Brendan Boyle, Councilman Mark Squilla and State Representative, Mike Driscoll.